Gary and Erin met in New Orleans, Louisiana in August of 2013. Erin always jokes that it was love at first sight because the night they first met they also shared their first kiss. Erin was working in New Orleans as a local television broadcaster and Gary was visiting from Nashville, Tennessee on a brief work trip. It was truly serendipity that they ever crossed paths but from the moment it happened, they became inseparable. Five years later, they are planning the wedding of their dreams on December 8th, 2018 in Winter Park, Florida. They finished the shoot at the modern and luxurious COMO Metropolitan Hotel. They love the art deco interior design of the rooms and tropical oasis vibes by the pool. “The session was a blast to create and we could not be more pleased with the final images. 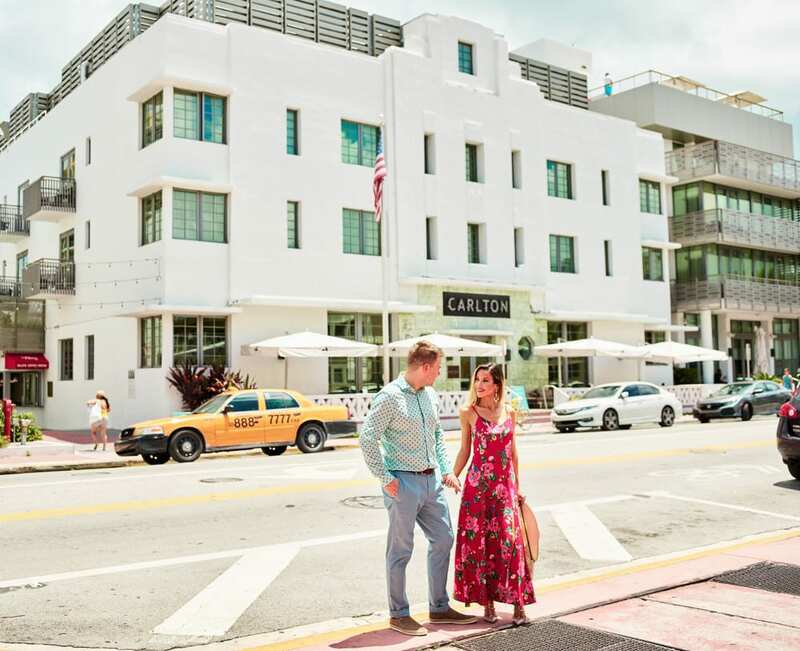 No matter what the future holds for us and where we might live in the future, we will always have these memories of Miami captured through the lens of CivicPhotos,” Erin said.